Love Island winner Dani Dyer has confirmed she is currently filming a reality series with her famous family. Dani is the daughter of Eastenders hardman Danny Dyer, who plays pub landlord Mick Carter in the series (though he is currently behind bars after being framed). The series will feature Dani and Danny as well as other members of the family, including Dani’s nan and grandad. Dani is most famous for her participation in this year’s Love Island, at the end of which she scooped the top prize with partner Jack Fincham. Tune into Capital Breakfast with Roman Kemp, weekdays from 6am – 10am and Saturdays from 6am – 9am. National Geographic will take viewers behind the scenes of the upcoming royal wedding in an exclusive new documentary. 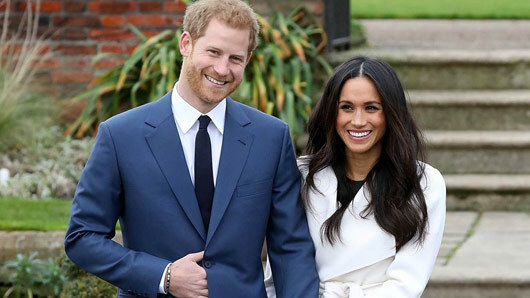 Scheduled two days after the royal nuptials on Monday, May 21st, Operation Royal Wedding will talk to key individuals involved in planning the big day. These names work tirelessly behind the scenes to bring about the pure spectacle that Harry and Meghan’s big day will certainly be. Wedding organisers featured in Operation Royal Wedding include prominent event organiser, Dominic Reid OBE, who has staged some of the biggest events on the national calendar (including the Queen’s Golden Jubilee and The Lord Mayor’s Show). Reid will now turn his attention to the year’s biggest royal event. The Archbishop of Canterbury Justin Welby, who is scheduled to officiate the service in Windsor, will also appear in the documentary. They’ll be joined by Royal Windsor Horse Show organiser Simon-Brooks Ward and site manager Colin Rayner, who lead the team that will create a show expected to attract 100,000 royal fans. Officials from Osborne House, Queen Victoria’s holiday home in the Isle of Wight, will also appear. According to tradition, a sprig of Myrtle from this royal home should be added to the royal bridal bouquet. Operation Royal Wedding will air Monday, May 21st at 9.05pm. The return of the documentary series battling terrible British conditions to rescue broken down vehicles up and down the country. Mary Berry is at her best in this series, illustrating classic recipes. In the first episode, Mary makes Eggs Benedict, slow-cooked lamb and chocolate truffle pots. John Torode and Gregg Wallace are back for another season of the amateur cooking competition. Only four chefs will survive the first round, for their chance to get a place in the quarter-finals. The midseason return after that hangover. How will the show cope with the loss of a seasoned regular? Alan Titchmarsh visits some of the country’s most beloved treasures, including 16th-century Derbyshire mansion Hardwick Hall, once the home of Bess of Hardwick. Eight celebrities go through a series of tests to determine how well – or how badly – they are ageing. They then head to Sardinia, where people live the longest, to try a Sardinian-style lifestyle change. Giles Coren and Monica Galetti are back exploring some of the world’s most interesting hotels, starting with eco resorts in French Polynesia. Sarah Jessica Parker is back with her sitcom about a couple moving on from divorce. The new series begins with how to build your very own cruise ship – easy! Supervet Noel Fitzpatrick is back for another series, which starts with a puppy in need of emergency spinal surgery, a Bernese with a rare cyst and a Labrador that needs elbow replacement surgery. Piers Taylor and actress and Caroline Quentin travel to Portugal to examine four of the world’s most amazing homes. American Crime Story is back with an equally compelling case: The assassination of Gianni Versace. Fashion designer Versace is killed outside his Miami mansion in 1997, prompting a media frenzy. Billy and Sharon want to celebrate their 25th wedding anniversary, but things do not go to plan when Rob arrives. 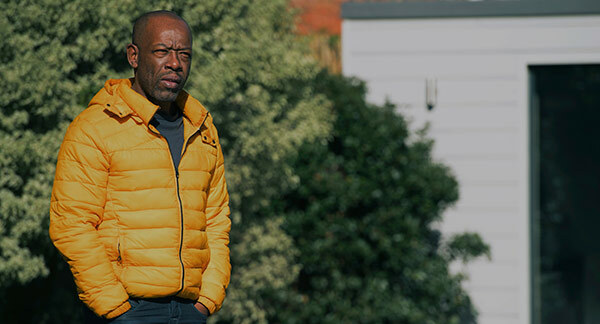 Written by and starring The Walking Dead‘s Lennie James, Save Me tells the story of Nelly Rowe, an estranged father who finds himself the prime suspect when his daughter goes missing. He must go on a journey of discovery to find his daughter and clear his name. Child psychologist Laverne Antrobus meets troubled families and tries to help make their lives easier. Guy Fieri and family go coast-to-coast in a new series, starting with California, Nevada and Arizona. Comedian Chris Ramsey returns for a new series of his weekly chat snow, taking a unique point of view on the week’s big news stories. A new film review programme hosted by Clara Amfo, which will discuss and speculate as to this weekend’s Oscars. A new series about a cruise ship, taking passengers between Vancouver and Anchorage. Along the journey, they battle navigational problems and difficult weather conditions. A new series of art history films, starting with the background and history of South African cave paintings dating back 80,000 years. A new series about emergencies on board ongoing flights, speaking to some of the witnesses of these airline disasters. A new documentary which investigates some of Nikola Tesla’s recently declassified research and inventions. Animated American sitcom American Dad! is back as Francine becomes a conspiracy theorist. A new documentary series about the volunteer-run North Yorkshire Moors Railway, following the lives of workers and the challenges they face. A new Hitler documentary series, investigating the people that the Nazi leader held close to him. Paul O’Grady presents this series about the life and career of cartoonist and writer Bob Monkhouse. The agents are back for a new series, starting with a feature-length episode. Stranded aboard an alien spacecraft, the agents discover something is terribly wrong. Cynthia’s marriage is disintegrating and Sheree is shocked by Porsha’s party in the first episode of a new series about the Atlantan housewives. 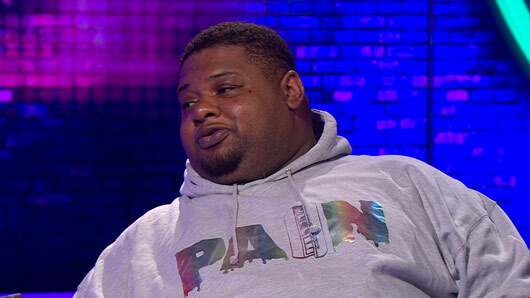 Big Narstie has revealed some details about his brand new TV show: The Big Narstie Show. The rapper is coming to Channel 4 with an exciting new series and the UK Grime artist begins filming this Friday. Speaking to Metro on the red carpet at the NME Awards, Big Narstie said: “My album is coming out in august and I’m filming a pilot show for my TV show on Friday – The Big Narstie Show. “Channel 4 has allowed me to open my crazy mind onto public TV, so it’s going to be the most black and funniest thing you’ve seen in a long time. “We’re bringing back the Real McCoy and Desmond’s. The Big Narstie Show will air on Channel 4 soon. 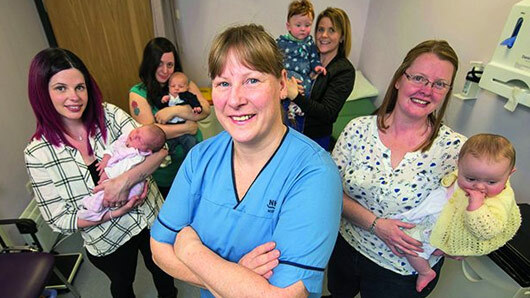 Brand new documentary series The Highland Midwife airs tonight (Wednesday, July 5) and showcases the important work midwives are doing in the Scottish countryside. Labour can be a scary prospect for pregnant mums in rural Scotland, as maternity wards can often be miles away and difficult to access. This Channel 5 documentary series highlights the various obstacles faced by expecting parents and the importance of the midwife in facilitating a safe and comfortable birth. Tonight, viewers will get an insight into the job as the series focuses in on certain midwifes in the area. Morven Fioretti, for instance, has been a midwife for 23 years and estimates she must have helped more than 2000 women. Morven continued: “It’s an amazing job. You’re seeing someone through a very exciting time in their life but also quite a daunting time. “You’re there to guide them through pregnancy and to maintain their health and preparation for the baby coming. The Highland Midwife airs tonight (Wednesday) at 8pm on Channel 5. 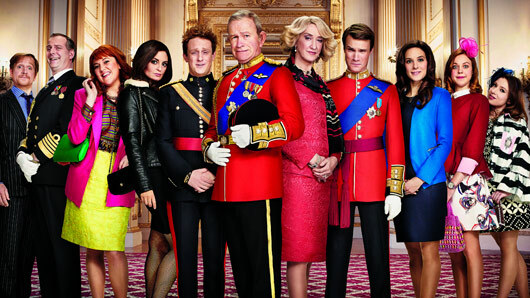 The hilariously funny royal comedy, The Windsors, premieres with its second series tonight (Wednesday, July 5) at 10pm on Channel 4. The programme returns for more Royal Family satire this evening and stars Harry Enfield, Haydn Gwynne, Morgana Robinson, Louise Ford, Hugh Skinner, Richard Goulding, Katy Wix, Ellie White, Celeste Dring, Tim Wallers and Matthew Cottle. She also spoke about what it is like to work so closely alongside Harry Enfield: “I love working with Harry. Apart from anything else, he’s a really sweet, gentle man. It’s a really lovely cast, we really enjoy each other. Working with Harry, when we’re rehearsing, I never know what he’s going to come up with. We do just laugh a lot. Channel 4’s classic game show Crystal Maze is making a comeback this Friday, and a brand new trailer has been released ahead of the show’s return. The show will be fronted by brand new host Richard Ayoade and begins this Friday with a Stand Up to Cancer celebrity special. The first episode will feature famous faces Louie Spence, TOWIE‘s Lydia Bright, Strictly Come Dancing champion Ore Oduba, former Geordie Shore star Vicky Pattison and The Last Leg‘s Alex Brooker. In the trailer, presenter Richard explains: “Welcome to the Crystal Maze. Inside lies a labyrinth of games where the highly skilled are awarded with crystals for time itself. Friday’s show will be followed by more all-star specials, as well as a full brand new civilian series. And it looks as though the revival will be sticking to the format that made it a British TV favourite back in the 90s. If you’re unfamiliar with the concept of the show, the main objective is to amass as many crystals as possible by playing a number of games in different zones. The crystals will earn contestants time in the famous Crystal Dome, in which they have to get their hands on as many golden tickets as possible in order to win a prize. The original series was hosted by Richard O’Brien between 1990-1993, followed by Edward Tudor-Pole who presented two series and two specials. The Crystal Maze: Celebrity Special airs Friday (June, 23) at 9pm on Channel 4. The BBC has commissioned Richard Osman’s House of Games, which will air later this year on BBC Two. The much-loved Richard Osman is best know for co-hosting popular quiz series Pointless alongside Alexander Armstrong. However, the presenter will now begin a new venture solo as he fronts his own celebrity teatime quiz on BBC Two. The new show will see celebrities battle one another in the ultimate test of quiz knowledge. The programme will be made up of a succession of fast-paced rounds as the famous faces compete in knowledge-based games. Each show will culminate with an intense quick-fire round, which will not only decide the daily winner but will build up to the eventual week’s champion each Friday. Of course, Richard will be on hand to cross-examine the opposing celebs as they showcase their quizzing talents. 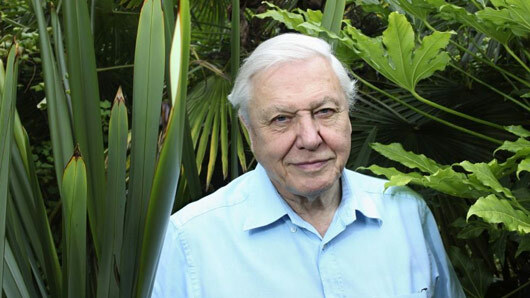 “The show is going to be great fun,” Richard said. 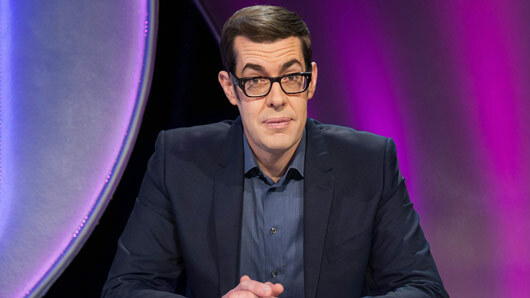 Richard Hague, Head of Entertainment at Remarkable Television, added: “Richard Osman’s House of Games is a unique collection of innovative, clever play-along trivia rounds. Richard Osman’s House of Games will air on BBC Two later this year.